Part and parcel of the imperatives to ensure a drug free workplace is the need to protect the privacy of all employees, particularly on matters of health and, in some cases, substance abuse. This includes not only who has access to urine test results, but how records are kept to maintain controls on that access. First, every employer must have a designated Medical Review Officer (MRO), who is by definition a medical or osteopathic doctor (MD or OD) operating under the regulated responsibilities of the Mandatory Guidelines for Federal Workplace Drug Testing Programs using Urine. MROs also need specialized training specifically to review and verify federally mandated drug testing results. 1. Documentation of all written and oral communications with tested individuals (“donors”), collectors, federal agency representatives, and laboratory personnel. 2. Oversee retention and storage of drug test records to ensure the confidentiality, integrity, and available of the data. 3. Limit access to any data transmission, storage and retrieval system. This requires the MRO to have a record management procedure to ensure proper disposition of those records, which includes a plan to ensure maintenance of the records even in the case of a business discontinuation. 4. Honor requests from a donor, provided in a written request, to access records of his or her drug test. 5. Honor a subpoena or court order for access to the records, if needed. 6. 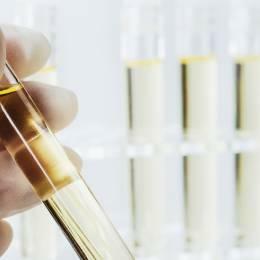 The drug test results must be retained for a minimum of 2 years from the date of collection. Hardcopy records can be destroyed after 6 months when a conversion to electronic records is made. 7. Any reporting of a drug test result should include the donor’s name, plus social security number or employee ID number, the specimen ID number, and result of the test. If the collector makes relevant comments, those comments should be included in the report. As should be clear, these procedures are strictly defined and maintained. The matter of employee drug testing is taken seriously and done as a means to ensure fairness for all concerned, without a compromise of personal health information. This includes follow-up treatment provided for “positive” test result employees, such as those who engage in an Employee Assistance Program (EAP).